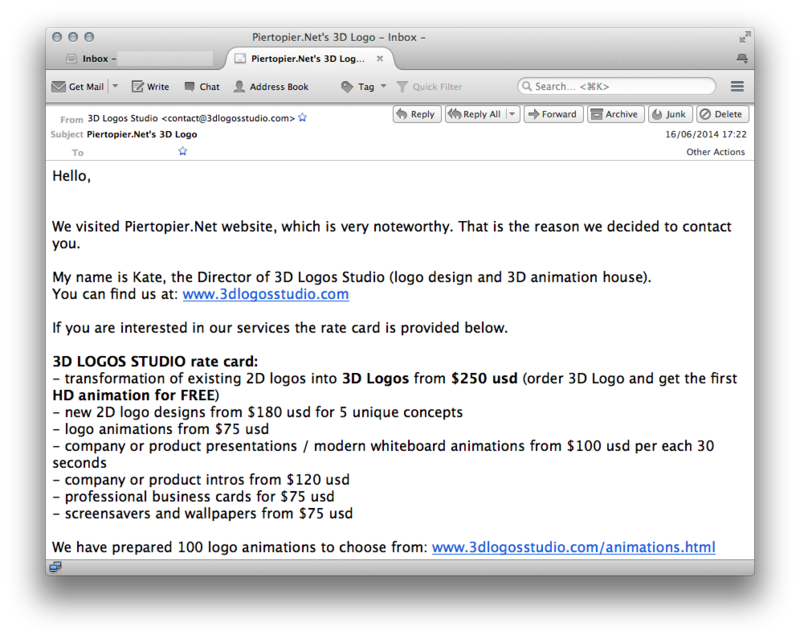 Just received a message from a company claiming to have visited the long defunct website of PierToPier.net. Interesting thing is that the “generic” email address I received the message on is on a domain that was never associated with the project, I’m guessing LinkedIn may somehow be involved as in the early days of LinkedIn, I did have a profile & PierToPier was listed in my bio. I wonder if this a case of someone using a scraped archive of LinkedIn? The PierToPier.net site has been down for several years now, so it’s clearly from a source of outdated data. Still not sure how it was linked to the generic email address though. 2 years ago today / yesterday a journey began for me & I wanted to write about the experience & what I’d taken away from it, as I started taken notes I found looking through old emails brought back lots of memories & so tonight I dug further & ended up looking through photos. 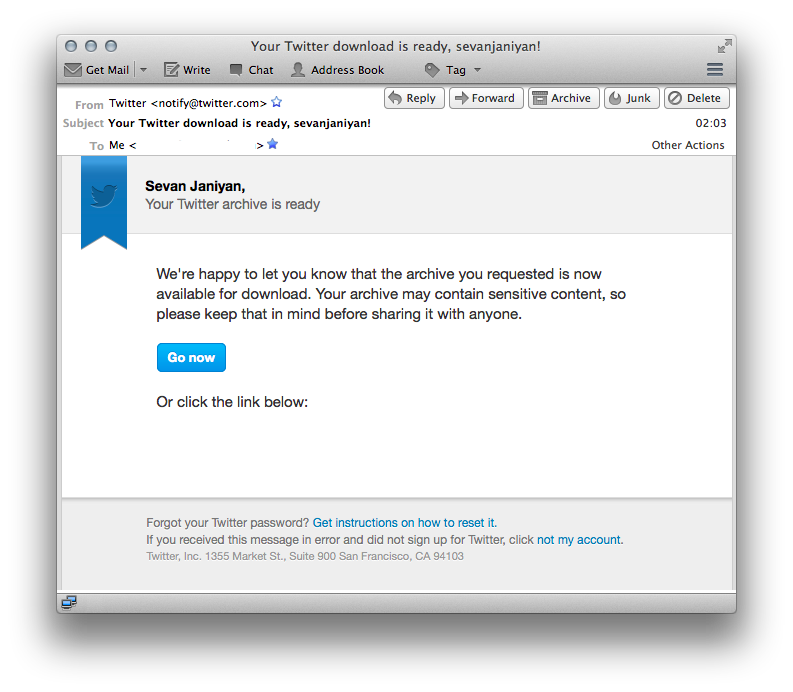 It’s been fun looking through the past & as I finished, I went to change my twitter photo & discovered that there is now a facility to request your Twitter archive. 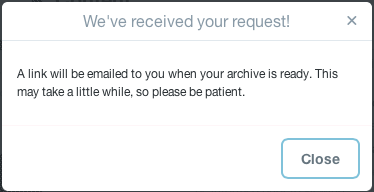 Once you’ve placed a you’re notified that it may take some time, I received an email almost immediately with a link to download a zip archive of my entire timeline. The zip file contains everything needed to read you archived timeline. I had a brief look at mine & stopped after the first months worth of tweets, too much past for one night, I’ve been down that lane already just before.